Do you have what it takes to help lead NCRA and the court reporting and captioning profession into the future? Or do you know someone who does? Then consider attending a no-obligation board service webinar that will be held Jan. 10, 2017, at 8 p.m. ET, and learn how you can influence the future of the court reporting and captioning profession. Candidates can also dial into the webinar using a phone: United States (toll-free): 877-568-4106 or United States 224-501-3217, access code 114-887-501. The webinar is designed to provide members interested in serving on the board with a better understanding of the process and expectations during the nominating period. The webinar will be recorded and available for viewing after its live presentation. Learn more about serving on the NCRA Board of Directors. After 30-some years of involvement in various association arenas, from city boards to reporting associations at the state, user group, and national level, I was granted the opportunity in this term to serve on NCRA’s Nominating Committee. It stands out as one of most rewarding experience in my association career. But let’s keep in mind that the term rewarding can also encompass pain in the process, and not just one’s own pain. The normal array of nominees for NCRA is for three directors, a term of Secretary-Treasurer (either a new or renewal term), Vice President, and President-Elect. As far as those positions go, this slate comprised a normal year. But in terms candidates’ quality, I can’t help but think it was an outlier, and in the best way possible: Every single nominee was top-notch. This article won’t go into specific candidates’ names. The committee’s nominations have already been published (at NCRA.org/nominations) and stand on their own. What we’ll do is look at the process and the experience itself, from both sides of the questionnaire. Imagine sitting in your office and then a loud “thud” startles you as a 10-pound three-ring binder hits the desk. Welcome to the Nominating Committee service. Out of 22 tabs in our committee notebook, a few were organizational things like schedules and background documents (such as the bylaws and the Vision 2018 statement). But most of the tabs were compilations for each candidate. Candidates submitted their nomination documents, résumés, completed questionnaires, and other related information such as referral letters. It was our task to go through these hundreds of pages and wring out some valid analysis. What does one do when one faces a crowd of outstanding colleagues, with a staggering level of involvement and insight, and has to choose a limited number from those ranks? One goes to the organization’s mission, current-day realities, long-range vision, and the dreaded interview process. And not just of the candidates. We talked to our NCRA President Steve Zinone, RPR; President-Elect Tiva Wood, RDR, CMRS; and Executive Director Mike Nelson, CAE. All of these people were invaluable for their perspectives of board dynamics, the vitality of NCRA, and strategies to strengthen our association. There are a lot of presumptions, not to mention misconceptions, about the nomination process, and a lot of it has to do with a perceived balance of interests. We were hit many times with the sentiment that we were looking for a certain ratio of freelance principals, freelance reporters, officials, broadcast and CART captioners, educators, females/males, aged/youth, voices of experience/fresh perspectives, regional distributions, state/national involvement, and so on. In a way, I wish we were that smart, to take all those discrete factors that exist within the ongoing board members, factor in those of the new potential members, run the algorithms to get us a blending, and come up with a slate of nominees that would result in a full and balanced diverse spectrum of colleagues to sit as board members. But we didn’t. Résumés and involvement counted, but they didn’t count for everything. Referral letters counted, but not for everything. Reputation and profile within the industry, reporting talent and accomplishments, native intelligence, business acumen, colleagues’ respect, social grace, political dexterity, and so many other things all counted, but not for everything. We simply looked to the qualities of the candidates we had. And oh, my, what quality we had. After having a couple weeks to pore over the nomination materials, we started in on interviews. It is no exaggeration to say that after just the very first two, we were already intimidated, if not somewhat depressed. Not because we were hoping for better but because we’d already been hit with such wonderfully talented and eloquent candidates, and we still had all the others to go through. But go through them we did, in a pretty arduous process of being cloistered with each other over a period of several days, from early morning into the evening. Some of us compared the process, and fairly so, to jury deliberations. Unlike a jury, though, we’re sitting in evaluation of our colleagues. This made our process tougher in a very special way. In 35 years of association involvement, I’ve come to know a few people. So at the beginning of many interviews, my disclaimer – “You and I are friends, we’ve worked together, played together, presented together, and none of that matters here. I am not your advocate on this committee.” – undoubtedly got quite old for my fellow committee members hearing it repeatedly. But I felt it was necessary, and I said it a lot. And still, when all is said and done, all that high-toned language conflicts with reality the next time that you talk to friends and colleagues who were not selected, and they can’t but help but wonder where the friendship lay during the process. And like a jury, the committee can second-guess itself forever as to whether the right questions were asked, the correct evaluations rendered, and the right decisions made. We were presented with a wonderful dilemma. We had a limited number of spots to fill, with an abundance of impressive people vying for them, all capable on their own of filling the roles. There were just too many high-quality candidates, which is a great problem for an association to have, but that situation provides its own measure of analysis agony for the committee members. And that angst on the part of the committee pales in comparison to the pain of the nominees who were not selected, regardless of their qualifications and sincerity, and even including any interview processes in the past that likewise didn’t succeed and add to the anguish. There’s no question: A role on the NCRA board as director or officer is a heady and self-affirming (if financially burdensome) thing. You’ve gotten the respect of your peers. 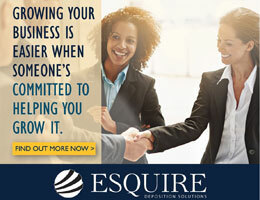 You’re being looked up to and sought out for your industry information, far-reaching vision, and leadership talents. Your visibility within our industry is ramped up. 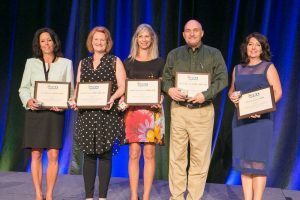 All your efforts and sacrifices encompassed in your involvement in your local, user group, or national association are hugely validated by your nomination to the NCRA board. And then the harsh downside. If you’re not selected, it goes the other way: The sense of rejection, the lack of validation, the feeling that you came up short and you can’t even say to yourself if it was through fair or unfair means in that jury-like committee process. I’ve been through the nomination process before, both successfully and not. I know all too well how glorious it is to be successful. I know how defeating it is to feel you’ve fallen short. I wish there were some way to ease that latter feeling. Very simply, we would have been comfortable with every reporter whom we interviewed having a place at the board table. Also very simply, we couldn’t do that. Receiving that “sorry” call is not a reflection of any lack of quality of the nominee; rather, it’s a reflection of the high quality of every reporter we talked to and an unfortunate consequence of having so many wonderful colleagues from whom we had to choose. But past the pain of that process for all involved, there was overriding and unquestioned reward out of this year’s Nominating Committee involvement. Unequivocally, yes, our process was studiously fair, devoid of background political or personal considerations, and devoted solely to selection of people, from a pool suffused with high talent, who could best serve NCRA at the board level. Our debate and deliberations were respectful, friendly, incisive, and analytic. They stretched long into the evenings. Our conclusions were reached after thorough consideration. Thank you to NCRA for its support in this process, to Immediate Past President Sarah Nageotte for her committee leadership, and to President Steve Zinone for his committee appointments and the opportunity to engage in a fantastic, tough, but rewarding process. There is now a group of five colleagues who did not know each other all that well before that weekend in early March and who will now remain close friends for years to come. And what a delightful thing that is. Jason Meadors, RPR, CRR, CRC, is a freelance reporter in Fort Collins, Colo., and an occasional contributor to the JCR. He also has fiction titles published for Kindle through Amazon. Do you have what it takes to help lead NCRA and the court reporting and captioning profession into the future? Or do you know someone who does? Then consider attending a no-obligation board service webinar that will be held Wednesday, Jan. 6, 2016, at 8 p.m. Eastern, and learn how you can influence the future of the court reporting and captioning profession. Candidates can also dial into the webinar using a phone: United States (toll-free): 877-309-2070 or United States 312-757-3119, access code 586-587-013. The webinar is designed to provide members interested in serving on the board with a better understanding of the process and expectations during the nominating period. The webinar will be recorded and available for viewing after its live presentation. 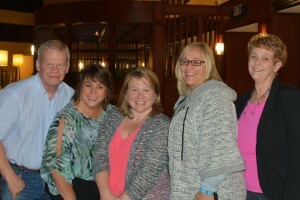 “Each summer, NCRA’s new Board of Directors begins work on behalf of the Association and profession. We are seeking candidates for the board who believe in NCRA’s mission and are willing to be active in their governance roles,” said NCRA Immediate Past President Sarah Nageotte, RDR, CRR, CRC, and chair of the Association’s Nominating Committee. 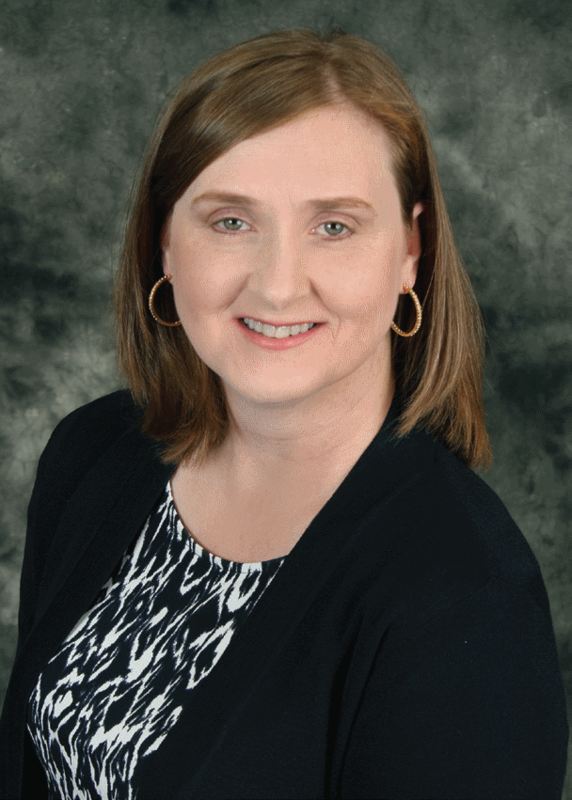 “The tasks we have before us have never been more important than they are today, and service on the board is a sure way our members can have a valuable part in moving NCRA and our profession into the future,” she added. In finding the best candidates to serve on the next Board of Directors, the Nominating Committee relies upon active NCRA members who have an understanding of the qualities of leadership needed to help move the Association forward. Click here for more information and the job descriptions for each board position or to watch the webinar. 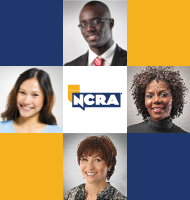 “We are encouraging all voting NCRA members to reach out to their fellow members in their local areas and state associations and recommend candidates. 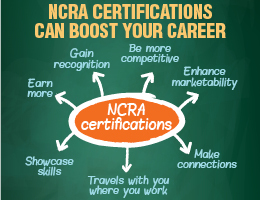 NCRA cannot thrive without the service of highly qualified volunteers. Please consider participating by volunteering to serve on the board or by recommending someone you believe can make a difference in our future,” Nageotte said. NCRA members interested in declaring their candidacy for a board position, or who want to recommend someone they believe is qualified to serve, should submit their recommendations by Jan. 19, 2016 to boardnominations@ncra.org. Please be sure, as a courtesy, to contact the nominee directly prior to submitting their name. NCRA’s Nominating Committee has offered its candidates for the 2015-16 Board of Directors. The following outlines the candidates’ qualifications for members to prepare for voting. As provided in the bylaws, additional nominations are possible if received within 60 days after publication of the Nominating Committee slate. The date by which additional nominations must be received is June 14. Nominations will be presented to the NCRA membership for vote on Thursday, July 30, at the Annual Business Meeting, 8:30–11 a.m. Eastern Time, as part of NCRA’s 2015 Convention & Expo at the Hilton New York Midtown, in New York. 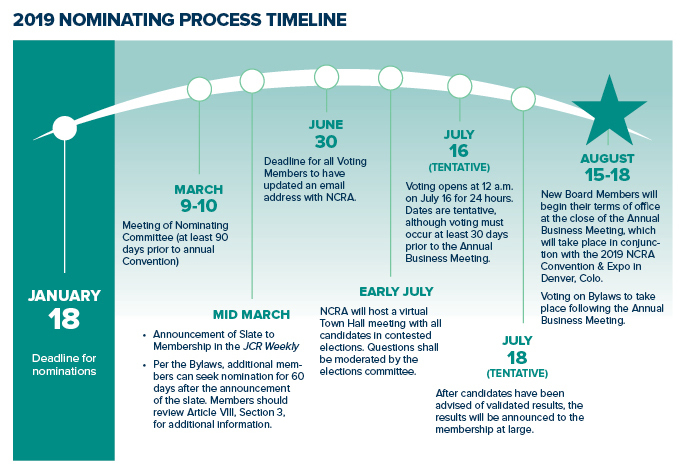 Final voting on any contested elections will be conducted electronically on July 30 following the NCRA Annual Business Meeting. Stephen A. Zinone, RPR, is an official court reporter from Pittsford, N.Y., who has served as Director, Secretary-Treasurer, and President-elect of NCRA. He started out freelancing in 1983, working as a reporter in the Monroe County Town Courts and in the deposition arena. In 1989, he was employed by the Monroe County D.A.’s office as a grand jury reporter, where he worked until 1997. He spent the next three years working in federal court for the Western District of New York. 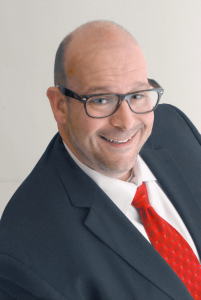 Since 2001, Zinone has worked for the New York State Unified Court System in the 7th and 8th Judicial Districts, and he is now assigned to the Ontario County Courts. 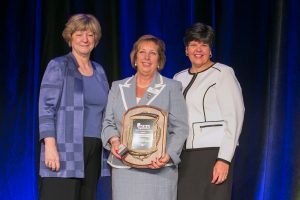 A member of NCRA since 1986, Zinone has served on its Finance Committee, Communication and Outreach Committee, and the Cost Comparison Task Force. He also served on the New Affiliates Task Force Committee in 2008. Zinone is a member of the New York State Court Reporters Association, the StenoCAT Users Group, the United States Court Reporters Association, Society for the Technological Advancement of Reporting, and the National Association for Court Management. He first served on the board of the New York State Court Reporters Association in 2002, including as its president in 2008. He also served on the Board of Directors of the StenoCAT Users Group for several years. Nativa P. (Tiva) Wood is a per diem court reporter from Mechanicsburg, Pa., who holds the nationally recognized professional certifications of Registered Diplomate Reporter and Certified Manager of Reporting Services. Before retiring in early 2015, she had served as chief court reporter for the Dauphin County Court of Common Pleas since 2003. Prior to that, she served the same court as an official court reporter from 1977 to 2003. Wood was honored with the designation of Fellow of the Academy of Professional Reporters. Wood is a long-time member of NCRA and has served on its Board of Directors since 2012. She has also served on an array of NCRA’s committees including Placement, Insurance, Convention Planning, Nominating, and the National Committee of State Associations Resolution Committees. Wood has also served on the General Appeals Task Force and the Steno Opportunities in the Courts Task Force. She is a past member and chair of NCRA’s Council of the Academy of Professional Reporters and the Committee on Professional Ethics. In addition, Wood has served on the Board of the National Court Reporters Foundation and as its chair. She is also an NCRF Angel. Wood is an active member of the Pennsylvania Court Reporters Association. As its president, she successfully lobbied for a public hearing on licensing for court reporters and testified before the Pennsylvania Senate Professional Licensure Committee. She has spoken on behalf of PCRA to a Pennsylvania Superior Court subcommittee investigating the computerization of the courts and the impact of court reporting technology. In addition, she was one of several speakers at the unveiling of the NCRA-sponsored computer integrated courtroom in the federal courthouse in Philadelphia, which was covered by affiliates of NBC, CBS, and ABC. Christine J. Willette, RDR, CRR, CCP, has been a court reporter since 1985 and is the owner of Willette Court Reporting in Wausau, Wis. Willette has served on the NCRA Board of Directors for four years, as well as on a number of the organization’s committees, including the National Outreach Committee, CLVS Council Board Liaison, the Freelance Community of Interest, and Committee on Professional Ethics. Willette also served as a National Committee of State Associations delegate from Wisconsin for a number of years and on the committee’s Governing Board. She has participated in NCRA’s Boot Camp and Leadership training programs. Willette is an NCRF Angel. 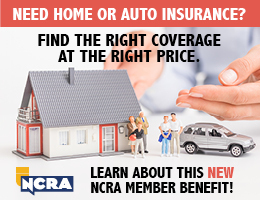 She has been a member of NCRA since 1985. 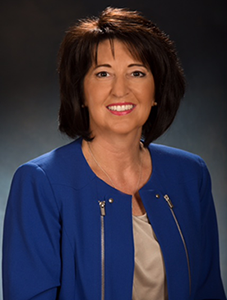 Willette is a member of the Wisconsin Court Reporters Association and has served on the organization’s Board of Directors and as its president. She has served on many of its committees and task forces, organized its first realtime contest, managed its website, presented seminars, planned conventions, and contributed to its quarterly newsletter. Doreen Sutton is a freelance reporter from Scottsdale, Ariz., with 23 years of experience. She holds the professional certification of Registered Professional Reporter and has covered depositions, arbitrations, and mediations. She also has grand jury and CART experience, as well as per-diem experience reporting for the various superior court venues in Arizona. As a member of NCRA, she has served on the association’s Test Advisory Committee and in various other volunteer roles. She has also served as a contributor to NCRA’s membership publication, the JCR. 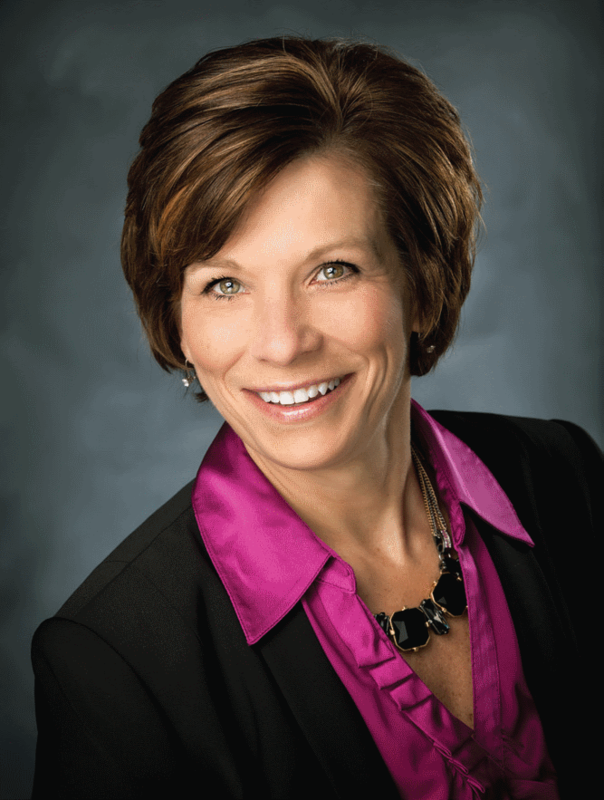 Sutton has been nominated to serve a second term as NCRA Secretary-Treasurer. 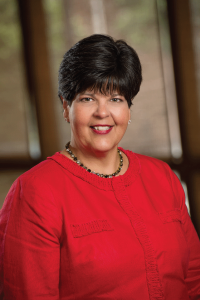 Active at the state level, Sutton is a past president of the Arizona Court Reporters Association and has also served as editor of its membership publication, ArizoNotes, and as co-chair of its Student Seminars. In 2013, she was awarded the ACRA Distinguished Service Award. Sutton holds certifications in the states of California and Arizona. Prior to entering the court reporting profession, Sutton worked in the areas of banking, bookkeeping, payroll, and accounting. Michael (Mike) Miller has spent his 20-plus-year career pushing the limits and being a vocal advocate for freelance reporters, rising to the level of “self-appointed reporting superhero” due in large part to his website, Depoman.com, and frequent speaking engagements. Like most reporters, Miller spends his days banging those keys with the hopes that today’s witness learned English in Omaha rather than in Bangalore. Miller has traveled with his machine to most corners of the world, reporting arbitrations in Reykjavik and depositions in Bangkok. Most recently, he has been providing immediate copy on a special assignment. Miller holds the professional certifications of Registered Diplomate Reporter and Certified Realtime Reporter, and he was honored with the designation of Fellow of the Academy of Professional Reporters. Additionally, Miller is certified in California, Louisiana, and Texas. He is past president of the Society for the Technological Advancement of Reporting. He is co-creator and original lead presenter of the NCRA Realtime Systems Administrator certificate program. Jennifer Sati has been a court reporter since 1985 and holds the professional certifications of Registered Merit Reporter, Certified Realtime Reporter, Certified Broadcast Captioner, Certified CART Provider, and Certified Reporting Instructor. She is from Dayton, Minn., and currently serves as program director and instructor for judicial reporting and broadcast captioning at Anoka Technical College in Anoka, Minn. She continues to caption professionally and also leads the school’s annual Veterans History Project event, which honors local veterans and captures their wartime stories. A member of NCRA, Sati currently serves on its Council on Approved Student Education and as a chief examiner and proctor for the CRR, CBC, and CCP NCRA Skills Tests. At the state level, Sati was awarded the Distinguished Service Award in 2012 and the Instructor of the Year in 2005 by the Minnesota Association of Verbatim Reporters and Captioners. 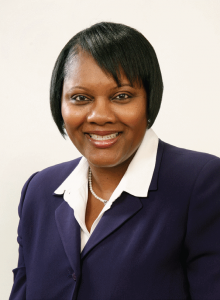 She is a frequent presenter and contributor to the association’s conventions and its membership publication. Sati is a past vice president and secretary of the Minnesota Freelance Court Reporters Association, which has since merged with MAVRC. Linda K. McSwain is an official court reporter from Mobile, Ala., with more than 20 years of experience as a freelance and official court reporter. She holds the professional certifications of Registered Professional Reporter, as well as the Alabama Certified Shorthand Reporter. McSwain has also worked as a freelance reporter taking depositions and covering public hearings. She has been awarded multiple certificates of appreciation for producing accurate, timely, and completed transcripts. She has held membership in NCRA for more than 20 years. 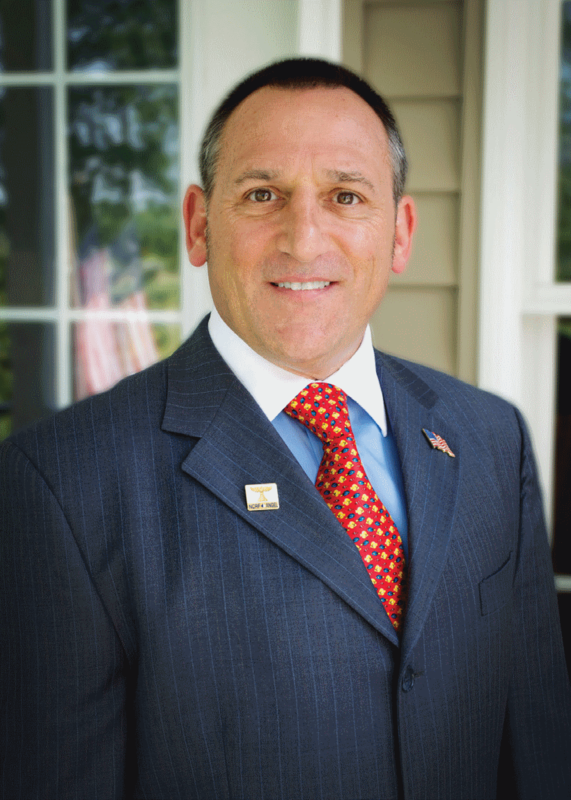 McSwain has served on the National Committee for State Associations for more than four years. She currently holds the position of NCSA Vice Chair. In that capacity, she has presented seminars at State Leadership Conferences and NCRA Conventions. In addition, McSwain has also been a participant in NCRA’s Leadership Training, Legislative Boot Camp, and State Leadership Conferences. McSwain has been involved with the Alabama Court Reporters Association, of which she is still a member. She has served on various committees for ACRA, including as past president. During her service, she worked to help develop certification for the Alabama Court Reporters Association. NCRA announced the slate of officers selected by its Nominating Committee to serve in 2015-2016. NCRA’s membership will vote on the nominations at the Association’s 2015 Convention & Expo later this year. 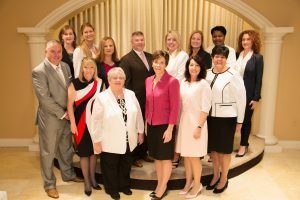 President-Elect: Nativa P. Wood, RDR, CMRS, Harrisburg, Pa.
Vice President: Christine J. Willette, RDR, CRR, CCP, Wausau, Wis.
Secretary-Treasurer: Doreen Sutton, RPR, Scottsdale, Ariz.
Linda K. McSwain, RPR, Mobile, Ala.
Jennifer Sati, RMR, CRR, CBC, CCP, CRI, Dayton, Minn.
Stephen A. Zinone, RPR, Canandaigua, N.Y., will automatically succeed to the office of President.